Stop reading if you only buy Grand Crus (we have the BGC series for that). For that matter, stop reading too if you only buy Premier Crus. Today’s EP offer… ONLY villages wines. Is there a Domaine which only makes villages wines?? 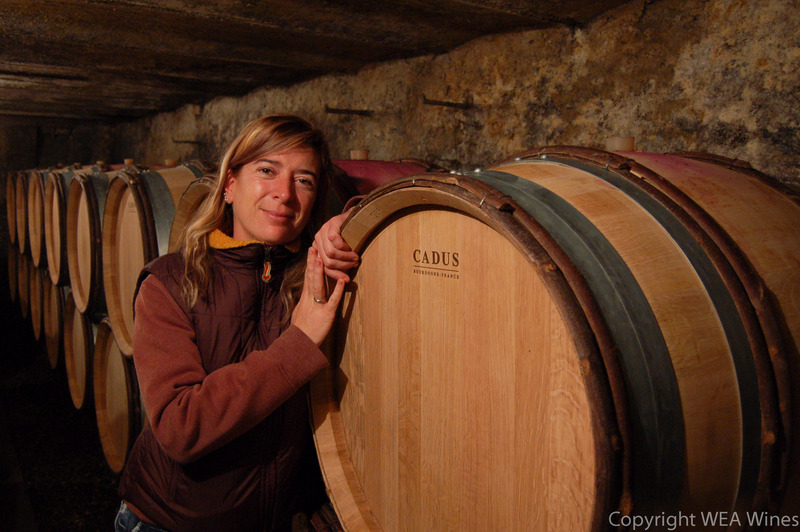 Alexandrine, the 4th generation, has taken over Domaine Marc Roy from her father, Marc in 2003 and now the grand total of workers in the Domaine is… three – Alexandrine and her parents. They tend the tiny 4 ha of vines, all in Gevrey (except for a tiny Chardonnay parcel in Marsannay), and all belonging to villages appellation. The range starts with a basic old vines cuvee. Then there’re two single vineyard cuvees. La Justice is deep, masculine in character while Clos Prieur is more animale, exotic and elegant. The range culminates with a Cuvee Alexandrine which is a very astute way of producing a prestige cuvee which represents the essence of Gevrey-Chambertin. It’s like drinking all the different terroirs in Gevrey in a single bottle. If you are a Gevrey fan, you must try this! trying should you see them, and at the prices that I have seen on offer, they represent fine value as well. Label snobs can skip this review, as it only contains wines from village vineyards, which they would not deign to drink. For the rest of us, these are exciting wines, showing that old vines and effort in the vineyard and cellar can pay off and deliver wines of premier cru quality. Alexandrine Roy, who also makes the wine (not just consults) at Phelps Creek in Oregon, is justly proud of what she accomplishes here. The style is one of purity, precision, and freshness and the wines can drink very well young. Because of the long (three week) flowering period, there were grapes of different generations on the vines, here as everywhere. Alexandrine worked over the summer to take off the grapes from the later-flowering, and so when she harvested, she just took in the grapes from the early flowering and had uniform quality. Additionally, she took off some leaves to help promote the quality and ripening. As a result of her work, she was able to harvest from September 27 to October 2, earlier than many and before the rains that started a few days later. There was a price for the selection she did in the vineyards, though, and she is down 30% from a normal crop. All grapes were destemmed.